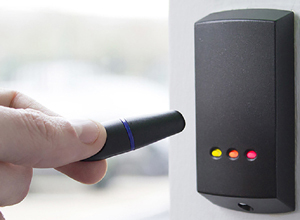 An Access Control System will ensure that your building is secure and that only the right people can get in and have access to the required areas. An Access Control System will give you all the control that you need, allowing you to manage your security, minimise risk and remove the dependency on keys. ATA Security have many years experience using market leading Access Control technologies from Paxton and Vanderbilt-ACT. ATA Security are licenced by the Private Security Authority (PSA) and certified by SSAIB to install and maintain Access Control Systems. Contact ATA Security today to arrange a free no obligation survey of your premises.